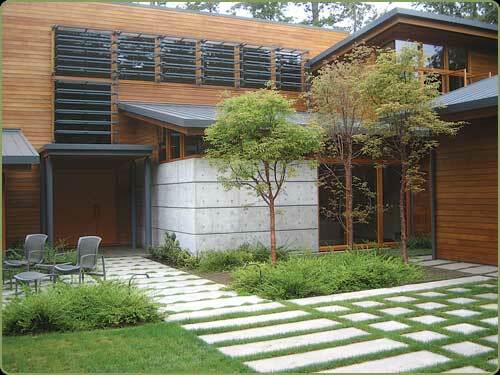 Balanced use of concrete, metal and wood for this side entryway. Red Cedar Channel Siding and fascia. 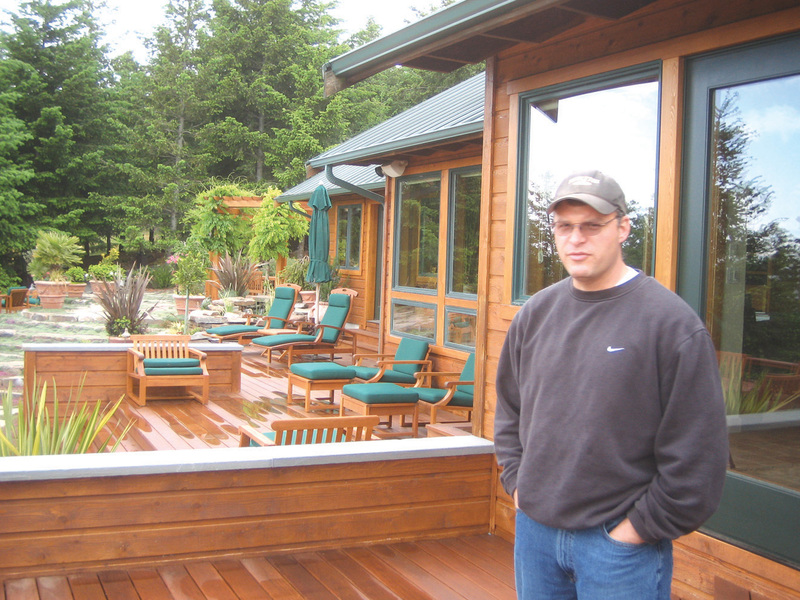 Dan standing in front of the Ipe deck. 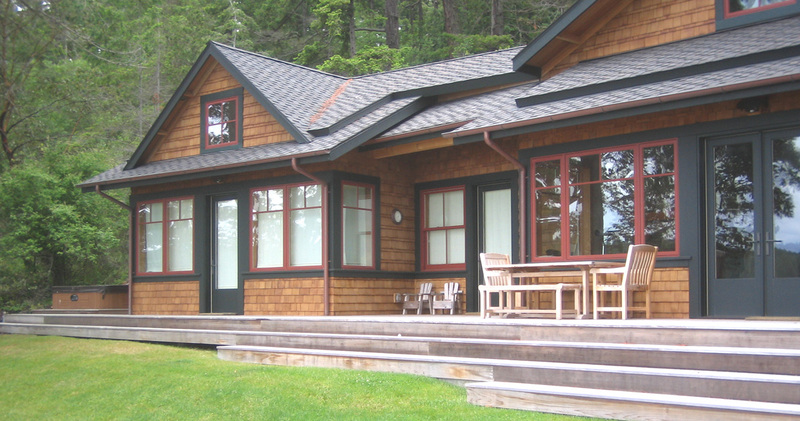 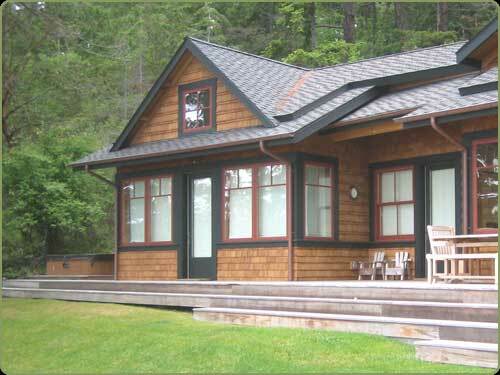 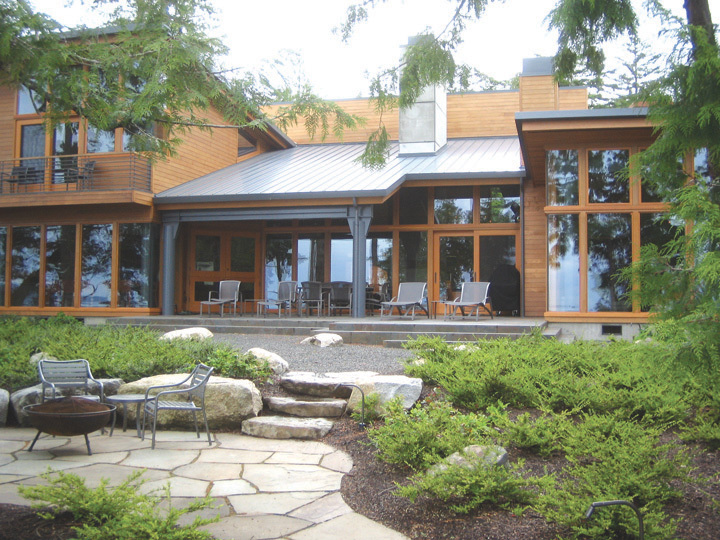 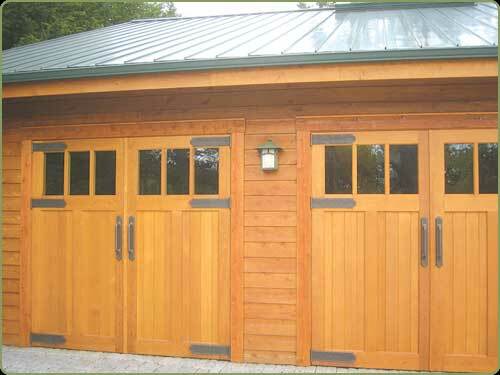 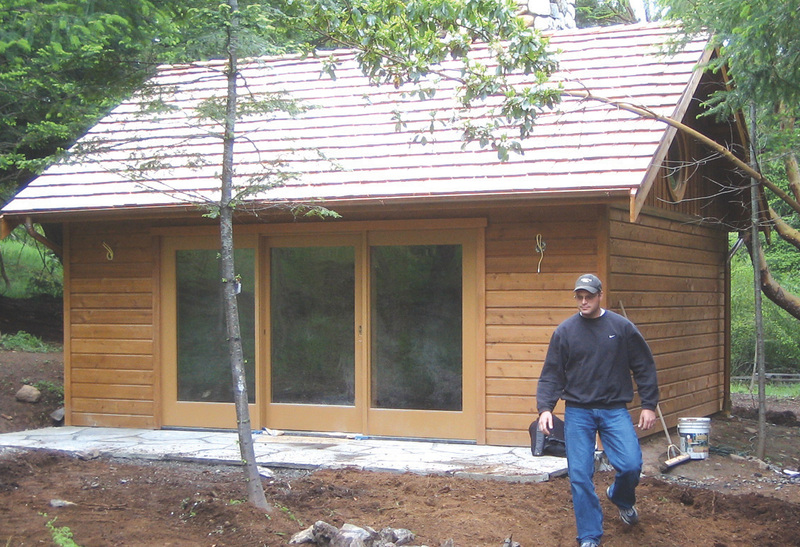 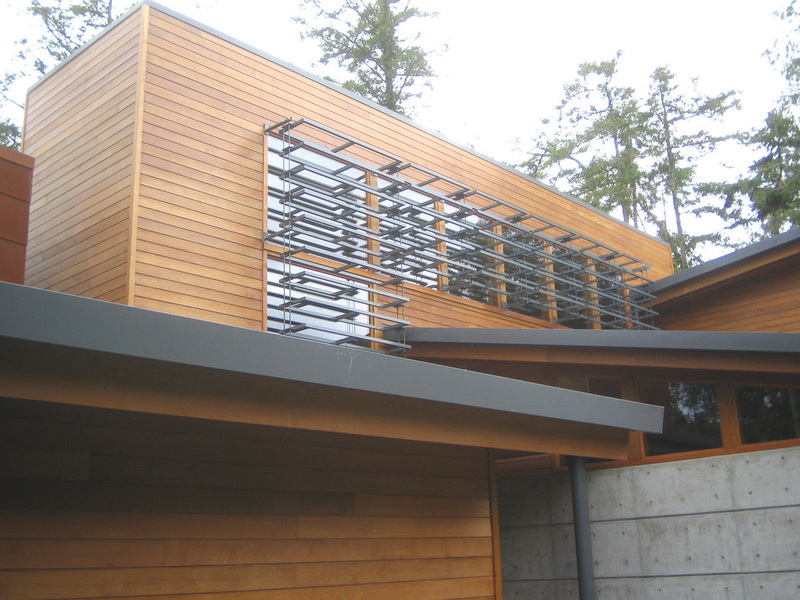 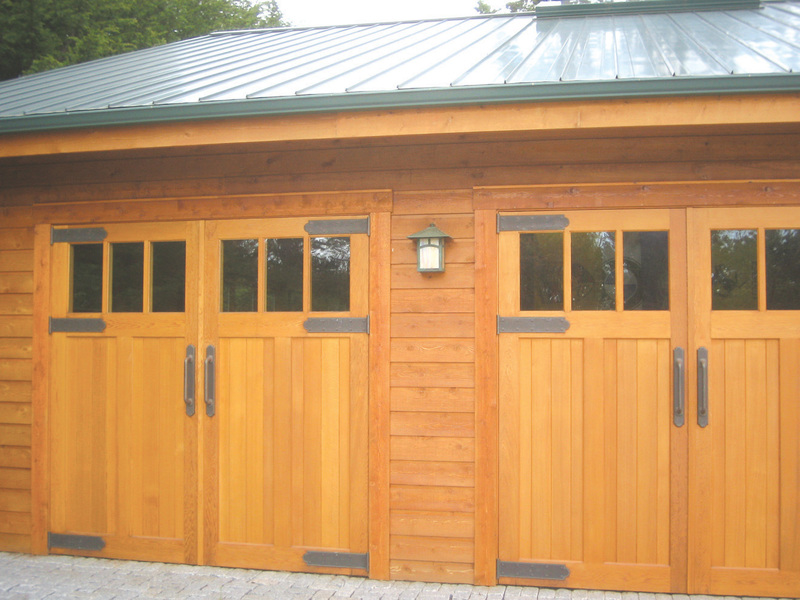 Douglas Fir garage doors and Red Cedar channel siding. 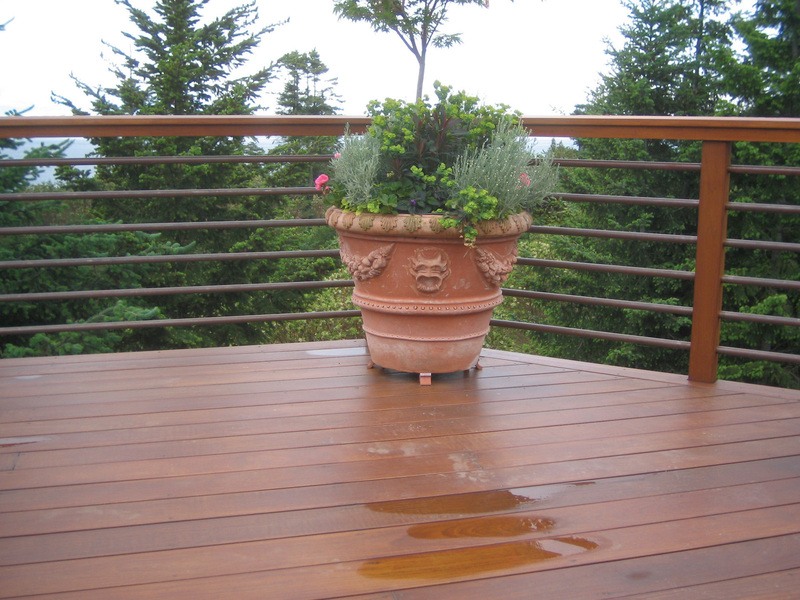 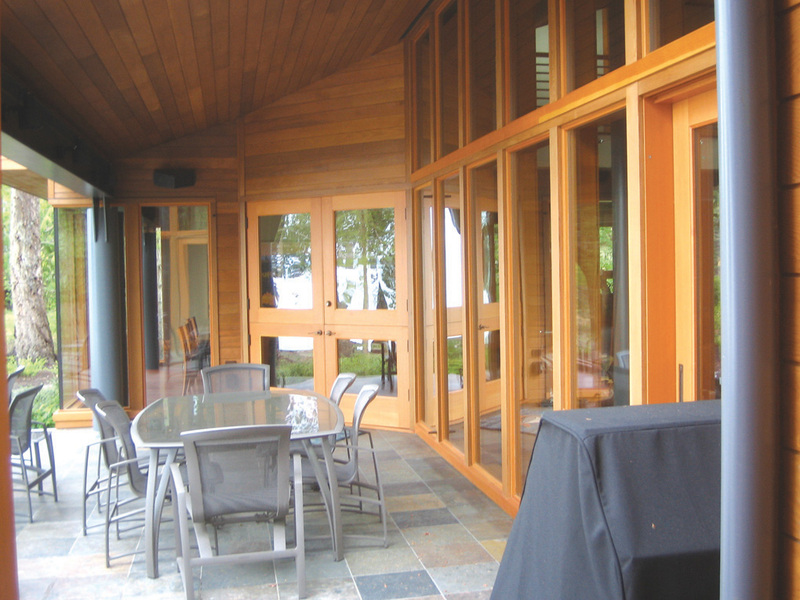 Ipe decking is extremely durable and a great choice for coastal properties. 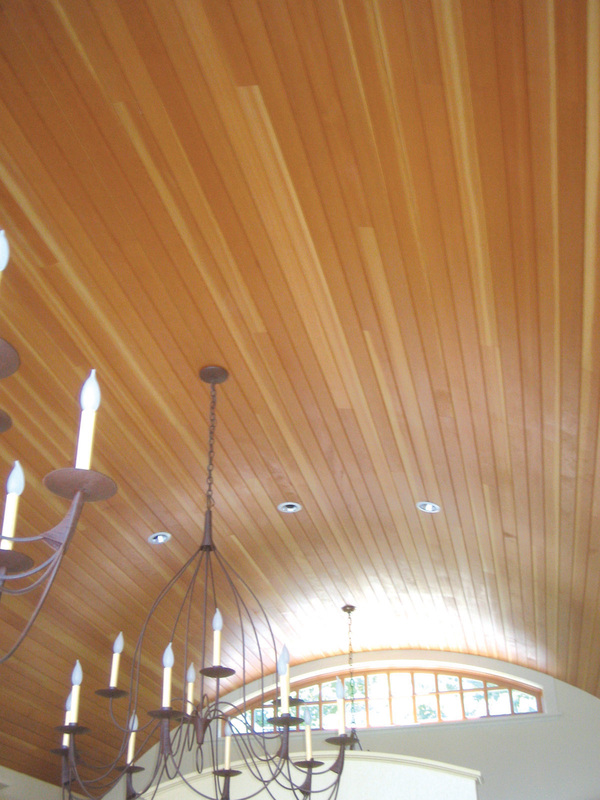 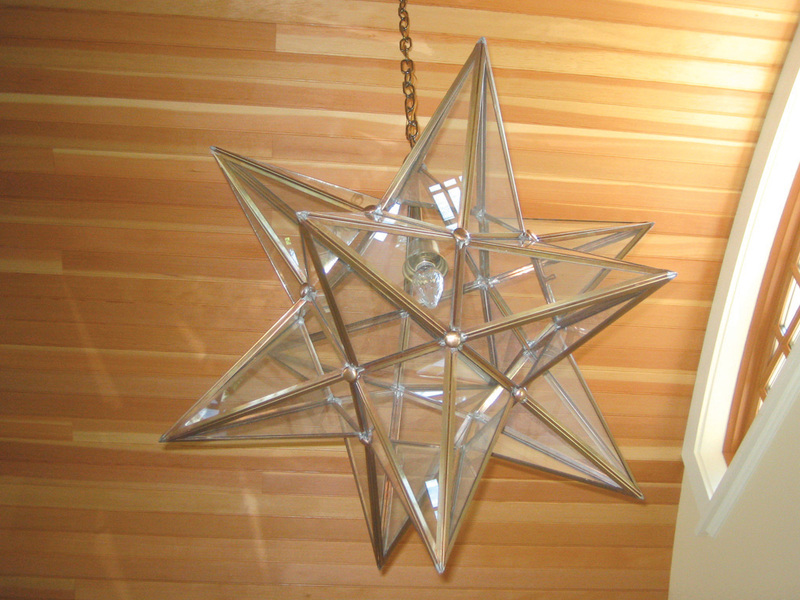 A fun lamp hangs from this red cedar ceiling. 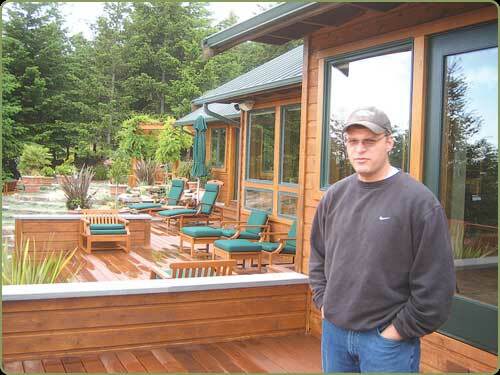 Bear Creek Lumber counts Dan Lowe as one of our best customers. 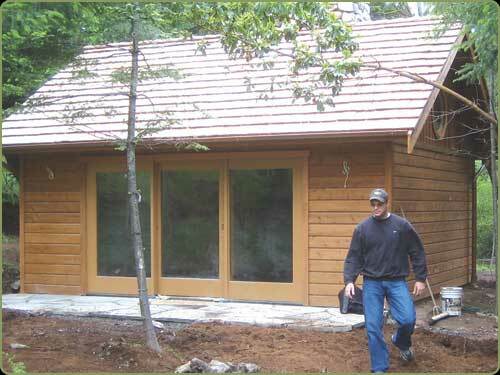 His work highlights everything about Bear Creek Lumber's appeal to our clients, ie. 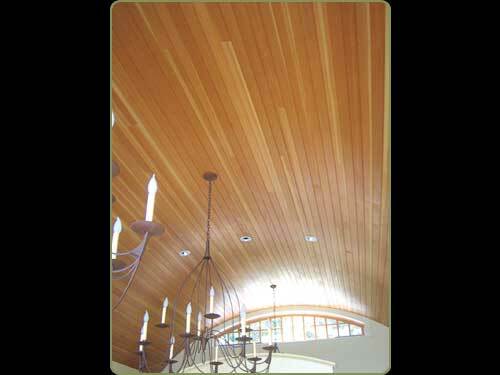 quality, natural beauty and the art of wood in a home. 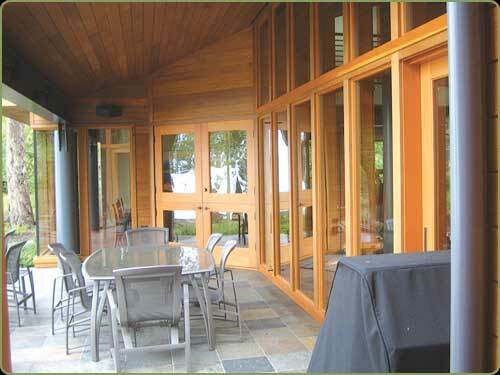 In these photos by Cloud Bannick, you can see how Dan has done justice to a variety of architectual styles, using natural wood and stone to blend into the (Washington) San Juan Island environment. 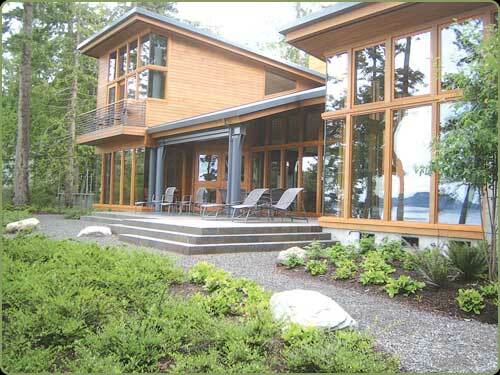 Of the many homes Bear Creek has worked with Dan on, these have a real "wow" factor. 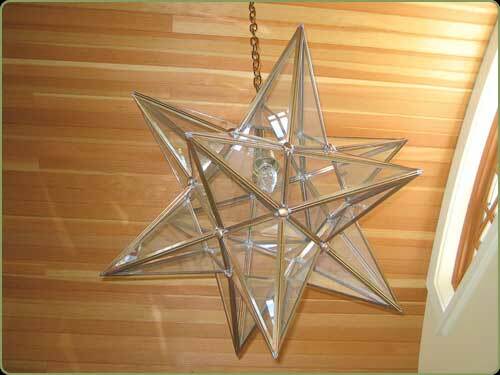 We thank Dan for sharing them with us.